One particular issue that was FOUC (Flash of Unstyled Content) which is a case of the web page loading prior to the loading of the external style sheet. In particular, this was occurring in the client slider. To fix this issue, we used one of bxslider options – onSliderLoad – to show the client slider only after the slider has fully loaded. 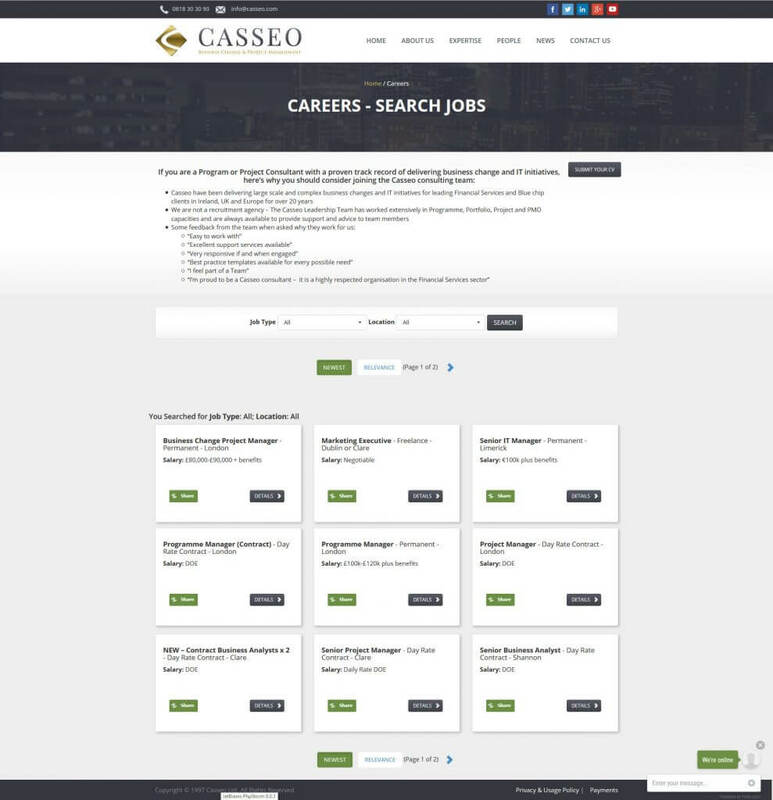 Another major requirement for this site is to give Casseo the ability to add jobs and give the user to ability to search for and apply for these jobs. 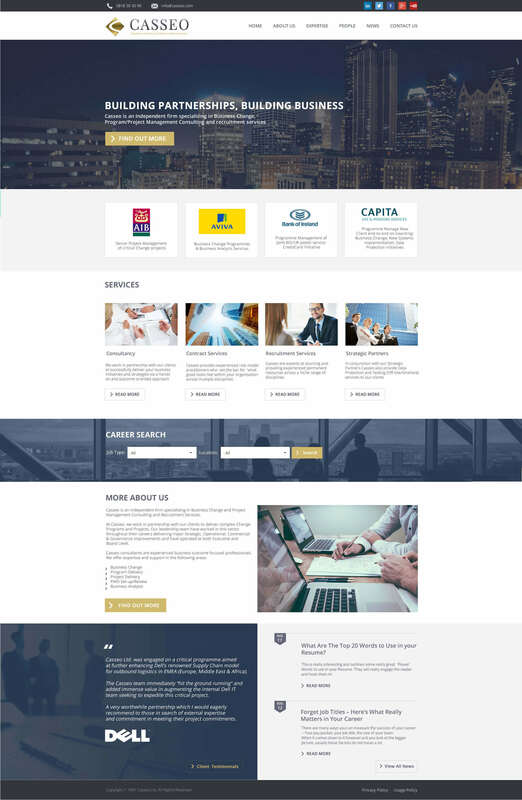 Essentially, whenever search is pressed, the current selection will be retrieved, this data is then sent to a script on the server which then retrieves all jobs for that job type and that location, the data is then returned and the html on the page is then updated for that selection all of which happens asynchronously without the page needing to refresh.